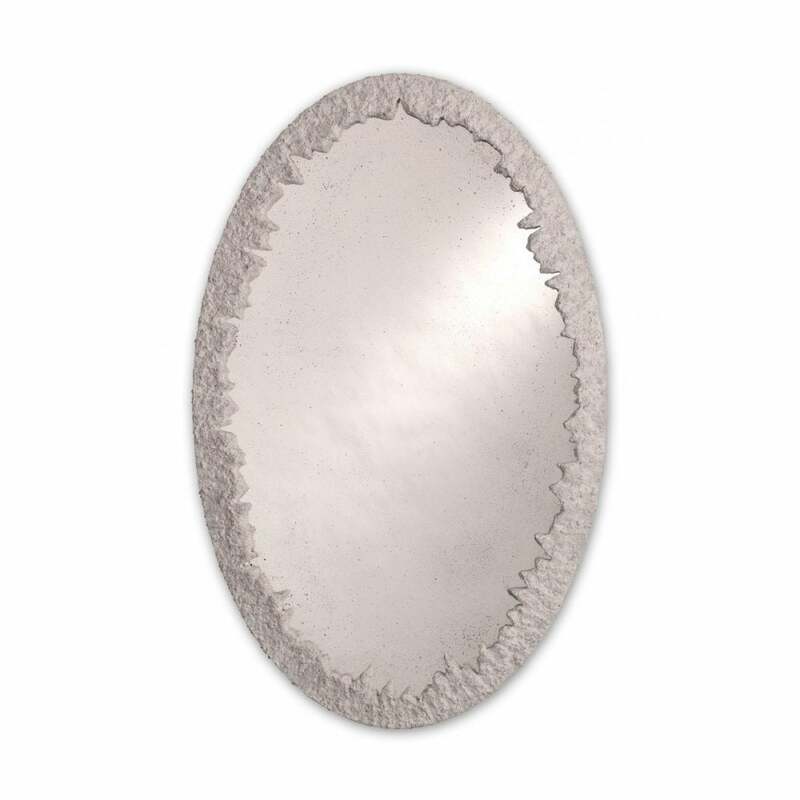 Created by Porta Romana’s expert craftsmen, the Oval Crater Mirror is laser-cut to form it’s striking silhouette. Layers of texture are hand-applied to the frame to create the signature Crater aesthetic. The rough decorative finish adds a space-age style to the mirror as if it was found on another planet. Although the mirror features a jagged frame, the soft and pretty profile brings a sense of serenity to the design. Position above a console table or fireplace for a statement look that exudes sophistication. Style within a neutral colour scheme of mink and grey to add depth and interest. Available in Gold, Silver or White. Make an enquiry for more information.